Wild animals enter residential areas in search of water posing another threat to the people. 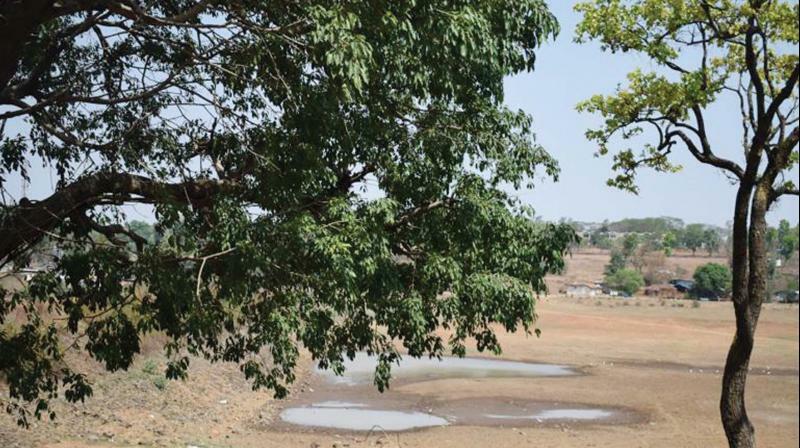 Three rivers flowing through Vilangad-Pulluva, Valook and Mayalangad -have dried up affecting the agrarian community. The crops, including pepper, cloves, nutmeg and arecanut, too have wilted without proper irrigation. Kozhikode: The searing summer heat has not only dried up the water resources of the high-range village of Vilangad, but also increased the threat of wild animals foraying into human habitation in search of water. Manjacheeli, -Valaamthodu, Vendekumpoyil and Vayad areas in the high ranges. The tribal colonies of Panniyeri, Malayangad, Paanom and Maranchery too are in distress. Tribal people have to fetch potable water from long distances daily. The crops were affected by the floods last year and now drought. Wild animals enter residential areas in search of water posing another threat to the people. On Saturday night, a tusker was spotted at the Paanom-Vayad colony road close to Wayanad border. People burst crackers and beat drums to scare the jumbo back to the jungle. Wild boars, monkeys and pigs come down to the plantation areas of Vilangad. Panchayat president O.C. Jayan said that unlike previous years, the grama panchayat cannot directly distribute water in the parched areas due to the election code of conduct. "Instead, the deputy panchayat office has invited tenders for drinking water distribution. As it is a district-level scheme, it will take time. Also, this time, no NGOs and clubs have come forward with proposals for drinking water distribution," he said.